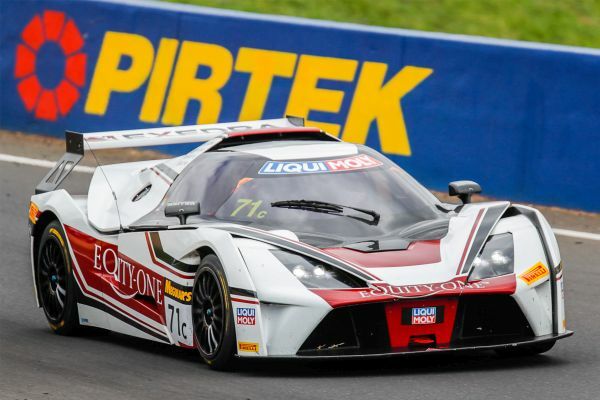 Australian GT regulars M-Motorsport claimed their maiden Bathurst 12 Hour victory on Mount Panorama, kicking off the 2019 season with a stunning win in the #48 KTM X-Bow GT4 in Class C, team-boss Justin McMillan, regular co-driver Glen Wood and new recruits Dean Lillie and Elliot Barbour crossing the line almost half a lap up on their rivals. 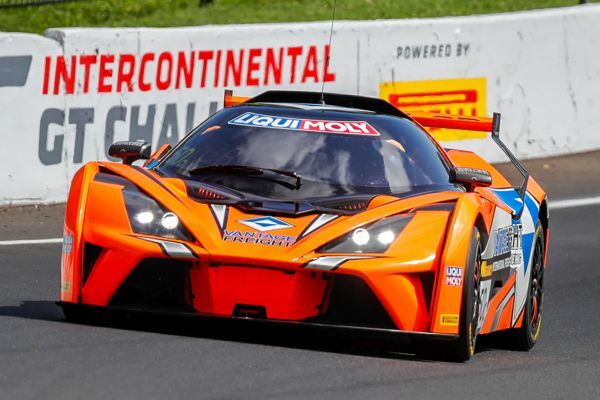 After a podium finish in 2018, the team were intent upon claiming the top step of the podium, entering the 2019 running of the once-around-the-clock event with three of the potent Reiter Engineering-built KTM X-Bow GT4s, and from opening practice it was clear they would be a force. Alongside McMillan, Wood, Lillie and Barbour in the #48, were 2018 Australian GT regulars David Crampton and Trent Harrison who were joined by Australian international Caitlin Wood and Tim Macrow in the #50 Vantage Freight entry, whilst former AGT Trophy Class champion Dean Koutsoumidis, James Winslow, SuperGT regular Jake Parsons and Swiss sportscar ace Mathias Beche lined up in the #71 Equity One X-Bow. Practice saw the three KTM’s right in the mix, the two-litre Audi turbo powered KTMs taking top honours in qualifying with both Beche and Glen Wood qualifying in the 2:17s to take a front row lockout for Class C for the 5:45am race start. From the outset it was clear the battle would be fought between the KTMs and the twin-turbo 3.0-litre six-cylinder powered BMW M4, the BMW holding the early lead before the #50 with Tim Macrow at the wheel stole the front running at the first pit stop on his way to a commanding lead. Behind the #50 entry Justin McMillan held down second place, the pair trading positions across the race to be up at one stage by four laps over the BMW. Frustratingly for the bright orange #50 Vantage Freight entry, the heat of the day ultimately brought them unstuck just 26-minutes from home with an engine issue whilst comfortably holding station behind the #48, a tough conclusion to the weekend after an epic recovery from contact on every day of the event, the most dramatic of which saw Crampton forced off the circuit at speed at the Chase during qualifying. For the #71, an early setback saw them battling niggling issues for much of the day, although they did claim a new Class C lap record with former Le Mans winner Mathias Beche setting a stunning 2:16.0709. In the end though, despite heat also affecting the pace of the race leading #48 KTM over the final hours, McMillan, Wood, Lillie and Barbour claimed the win by half a lap, the #50 holding down third until the dying stages despite being back in pit lane, they ultimately fell back to fourth with the #71 fifth. 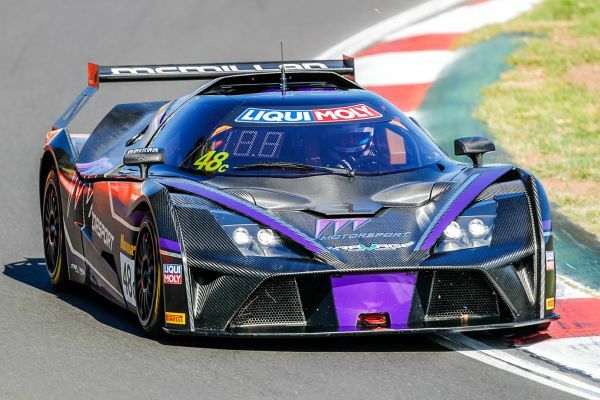 For the M-Motorsport team, focus now turns to the opening round of the 2019 CAMS Australian GT Championship where all three cars will do battle for GT4 honours - Justin McMillan in the #48, David Crampton and Trent Harrison in the #50 Vantage Freight entry, and Dean Koutsoumidis in the distinctive #71 Equity One KTM.